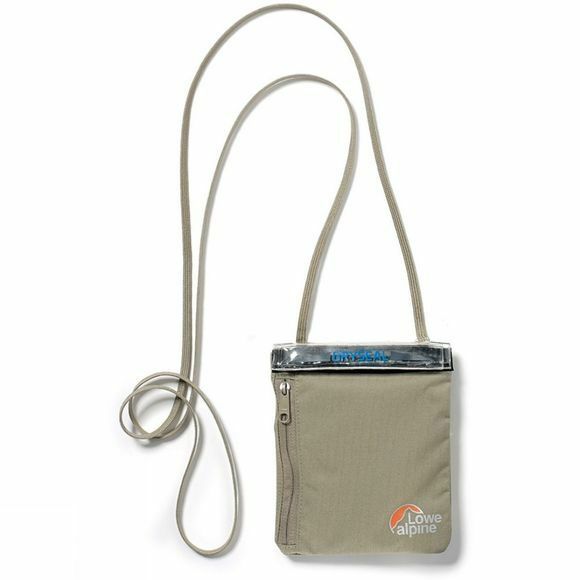 The TT Dryzone Vertical Passport Carrier from Lowe Alpine is a water resistant next to skin pouch. Made from soft breathable skin tone coloured material. For securely storing a passort, credit cards and a few bank notes under your clothes.